Do I Really Wanna Blog? : Finished! Well, it's been a little over 8 years since we bought this house. 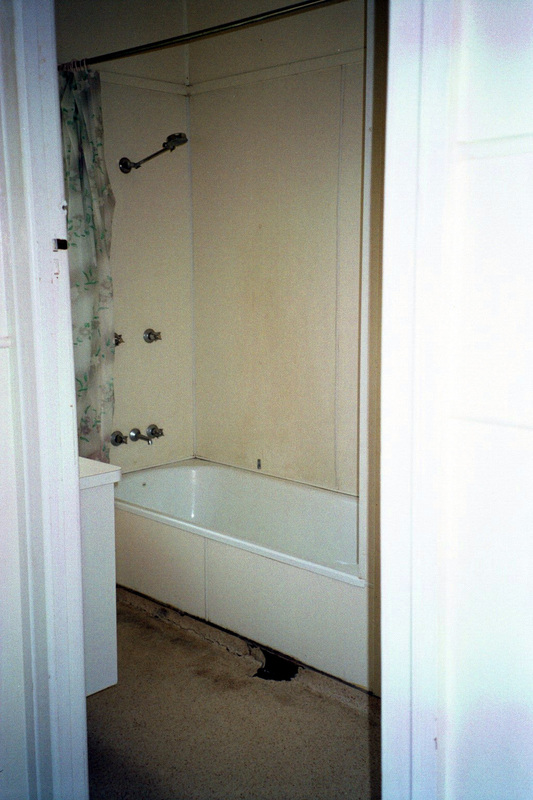 When we moved in the kitchen and bathroom were the first things we were going to renovate. Because they were, not just old, unloved for a very, very long time! There were cigarette burns on the kitchen cupboard doors. The lino in the bathroom had a big hole in it. The bathroom mirror had black spots all over it, it was hard to know which spots were on your face and which were the mirror! Today, just hours ago, the bathroom reno was finished!! Can you tell I'm a wee bit excited? I look and stare and grin every time I walk past. And my extremely clever husband did the whole lot all by himself. He taught himself as he went along. I'm so proud of my clever, amazing husband. Yay for you and your clever husband. Such an accomplishment. I can imagine you just keep going in there over and over. I know I would. Oh yay! I can see why you're so excited! Yikes! You did well to hang in there that long! It's beautiful. Congrats to hubby! It looks fantastic, what a difference. I can truly appreciate this - as my husband noisily installs the new toilet in our ensuite reno as I type. SO fresh and new. I just love the end results and those before and afters - wow! Need to pop up the pics of our little reno adventure.